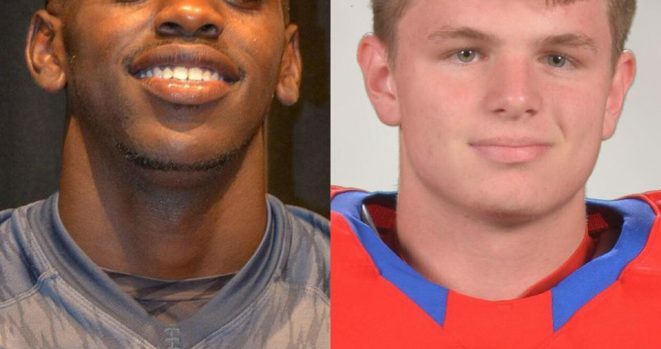 This week’s K104 Friday Night Lights “Beast Of the Week” game balls go to Anthony Watkins of Fort Worth South Hills and Tim Drysdale of Grapevine! Anthony Watkins (FW South Hills) – Watkins was unstoppable in South Hill’s 63-41 win over Saginaw. The former K104 BEAST OF THE WEEK had 509 yards rushing to go along with nine touchdowns! He is currently committed to the University of Missouri. Timothy Drysdale (Grapevine) – Grapevine moved to 3-0 after a dominating showing against Justin Nothwest. Drysdale had three interceptions on Thursday night returning two for touchdowns and 11 tackles.